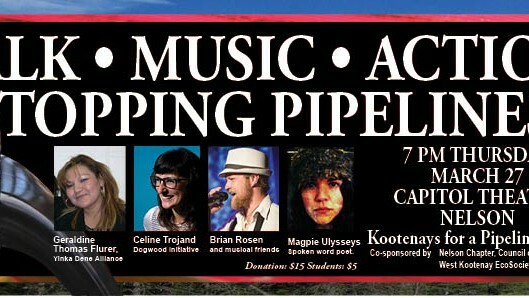 Talk Music Action – Stop the Pipeline! 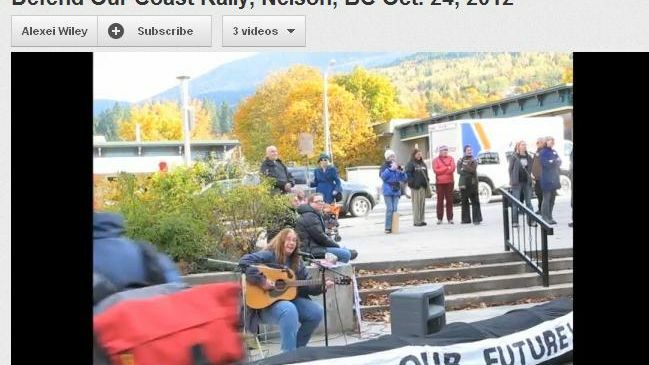 Keith Wiley has written up a handy summary of the Kelowna events (see Kelowna Enbridge report.pdf below). 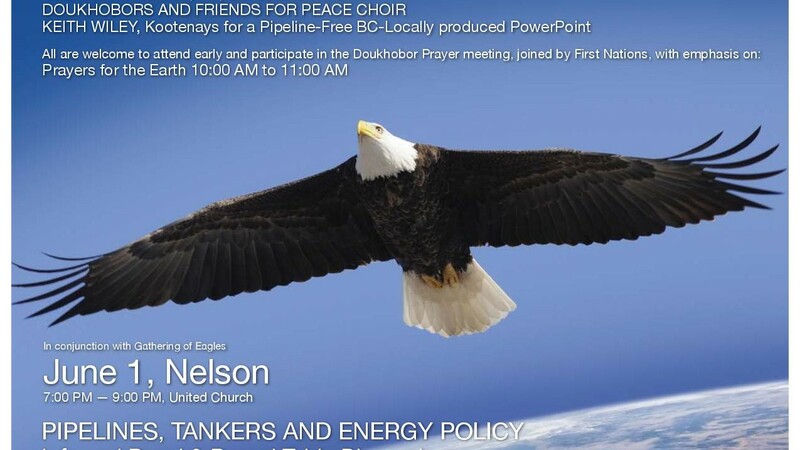 Nearly 40 people from the Kootenays got on the EcoSociety bus and traveled all day to bear witness at the protest and Enbridge pipeline hearings in Kelowna, January 28th.